I haven't yet found my fall dress, but these two dresses by Elise of Bekväm Clothing would both be perfect. The Dorrit dress (above) is made of navy silk crepe de chine, and the Wilcox (below) is made of organic heathered jersey. 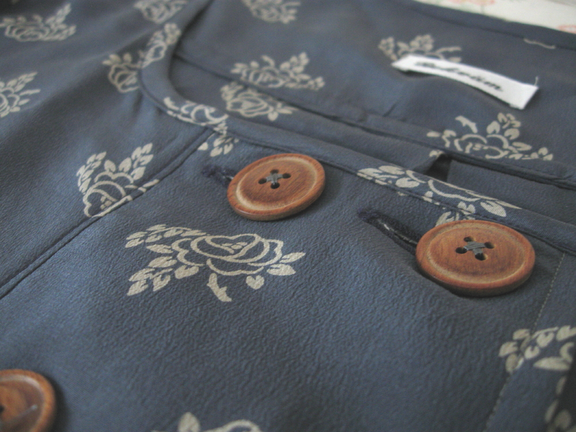 I love the wooden buttons; I learned through reading her blog that they are English rim buttons. Such a lovely detail! Elise is an absolute sweetheart, as you can see from this interview with her on one of my favourite blogs, Camp Comfort. I cannot wait to see what else she has up her perfectly stitched sleeve. 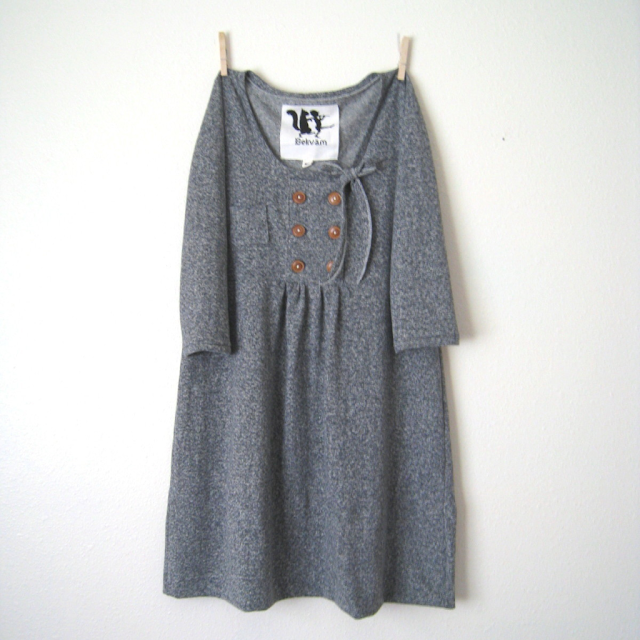 The first dress, the Wilcox, goes on sale in her shop Wednesday, September 9.
these dresses are simply adorable! you always find the best things! 'made of navy silk crepe de chine' - that sounds so delightful! They're so cute! 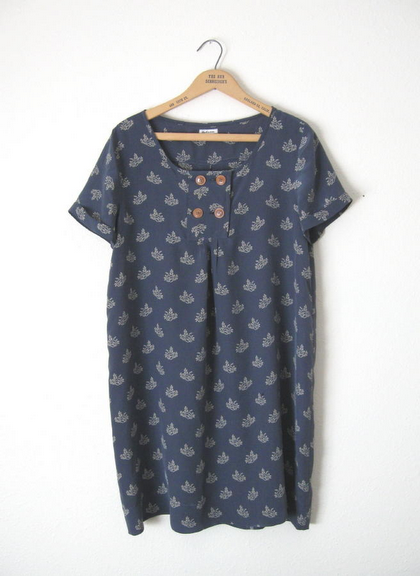 I just read about her too at Camp Comfort and initially thought ooh some new Sweden line but nope, local Oregon designer! These are so wonderful, I especially love the second one! Ooh, I love those! Thank you for sharing! Beautiful. I love the grey dress. so pretty. i love the fabric in the top dress. Gosh, those went fast! I checked to see and found them all sold! ooh--that grey jersey! i would wear that dress every day, given the chance!